Normally, urine contains chemicals that prevent crystals from forming. But what happens when you start to have pain in your back or side or you are having problems with urination? Could you be one of the thousands of people with kidney stones? The information below should give you a head start about this potentially serious health hazard. The kidney performs many functions, the most important of which is the filtering of blood to remove toxins. Blood flows into the filtering component of the kidney called the glomerulus. The filtered portion of the blood then progresses through channels within the kidney, called tubules, which perform "fine tuning" of the filtering process. The final product of the filtered blood is urine, which gathers briefly in the renal pelvis and then is transported down the ureter, the muscular tube that carries urine to the bladder. Normally, urine contains many dissolved substances. At times, some materials may become concentrated in the urine and form solid crystals. These crystals can lead to the development of stones when materials continue to build up around them, much as a pearl is formed in an oyster. The incidence of urolithiasis, or stone disease, is about 12% by age 70 for males and 5-6% for females in the United States. Additionally, the gender distribution may be moving closer to equality, as women are being increasingly diagnosed with and treated for kidney stones. These numbers may be increasing because of dietary and climate changes in our population. The debilitating effects of urolithiasis are quite substantial, with patients incurring billions of dollars in treatment costs each year. The majority of stones contain calcium, with most being comprised of a material called calcium oxalate. Other types of stones include substances such as calcium phosphate, uric acid, cystine and struvite. What are some risk factors for kidney stones? A number of risk factors play major roles in stone formation. The first is loss of body fluids (dehydration). When one does not consume enough fluids during the day, the urine often becomes quite concentrated and darker. This increases the chance that crystals can form from materials within the urine, because there is less fluid available to dissolve them. Stone formers should maintain 2 liters of urine output every day. Certain bowel conditions can also increase the risk such as chronic diarrhea, Crohn?s disease, and gastric bypass surgery. Obesity is also an independent risk factor for stone formation. Symptoms of an obstructing stone can vary. Most often, patients will complain of pain centered in their sides (flank), which may also radiate toward the front of the abdomen or to the groin area. At times, the pain may become so severe that the patient becomes unable to find a comfortable position. Nausea and vomiting can accompany the pain as well. Blood in the urine (hematuria) may also appear when a stone is present. In some patients, especially those with diabetes, a fever may develop from infected urine that becomes trapped behind a stone. This is a medical emergency, as a bacterial infection that is not drained can cause a critical illness. When a urinary stone is suspected, an immediate evaluation is required. Blood is obtained to check on overall kidney function as well as to exclude signs of infection throughout the body. Urine is sent for a urinalysis and culture, also to examine for infection. A simple X-ray of the abdomen is sometimes enough to pinpoint a calcification in the area of the kidneys or ureters, thus identifying a likely obstructing stone. However it is sometimes difficult to determine if the calcification is within the urinary tract and also some stones are not radiopaque. Historically, an intravenous pyelogram (IVP) was done, but today computed tomography (CT) is the gold standard for stone diagnosis as it is very sensitive and can detect almost all types of urinary stones. The abovementioned tests give your urologist information about the size, location and number of stones that are causing the symptoms. 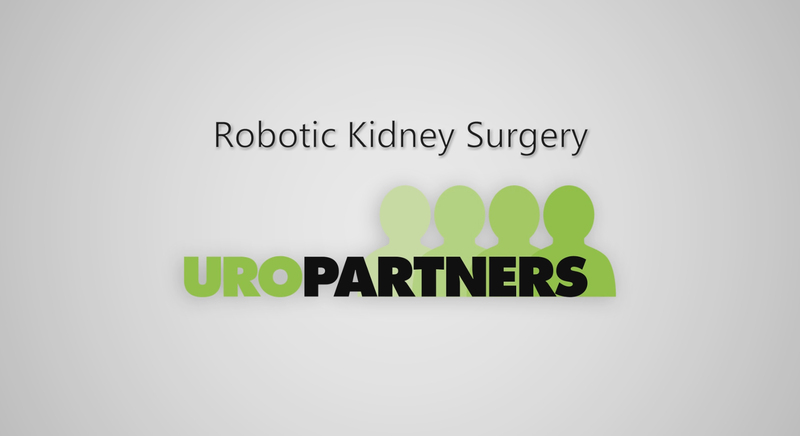 This allows the urologist to determine appropriate treatments. Shock Wave Lithotripsy (ESWL®) Is the most frequently used procedure for eliminating kidney stones. Shock wave treatment uses a machine called a lithotripter. It works by directing ultrasonic or shock waves, created outside your body ("extracorporeal") through skin and tissue, until they hit the dense kidney stones. The impact causes stress on the stone. Repeated shock waves cause more stress, until the stone eventually crumbles into small pieces. These sand-like particles are easily passed through the urinary tract in the urine. The technology is only effective if the kidney is functioning well and there is no blockage to the passage of stone fragments. ESWLÂ® is a completely non-invasive form of treatment. In the older devices, the patient used to recline in a water bath while the shock waves were transmitted. Today, the machines are more compact and have a soft cushion on which the patient lies. Ultrasound or fluoroscopy is used to locate the stone and focus the shock waves. In most cases, shock wave lithotripsy is done on an outpatient basis. Recovery time is short and most people can resume normal activities in a few days. However, one ESWL® session by itself may not free the ureter of all stone material, and either a repeat ESWL® session or treatment with another approach may be necessary. ESWL® is not the ideal treatment choice for all patients. Patients who are pregnant, obese, have obstruction past the stone, have abdominal aortic aneurysms, urinary tract infections or uncorrected bleeding disorders should not have ESWL®. In addition, certain factors such as stone size, location and composition may require other alternatives for stone removal. Because of possible discomfort during the procedure, some anesthesia or some form of sedation is generally needed. SWL can be performed under heavy sedation, although general anesthesia has been shown to be associated with a higher success rate. Once the treatment is completed, the small stone particles then pass down the ureter and are eventually urinated away. In certain cases, a stent may need to be placed up the ureter just prior to SWL to may assist in locating the stone or assist in stone fragment passage following treatment. Certain types of stone (cystine, calcium oxalate monohydrate) are resistant to SWL and usually require another treatment. In addition, larger stones (generally greater than 2.5 centimeters) may break into large pieces that can still block the kidney. Stones located in the lower portion of the kidney also have a decreased chance of passage..
Ureteroscopy (URS): This treatment involves the use of a very small, fiber-optic instrument called a ureteroscope, which allows access to stones in the ureter or kidney. The ureteroscope allows your urologist to directly visualize the stone by progressing up the ureter via the bladder. No incisions are necessary. General anesthesia is generally used to keep the patient comfortable during the procedure. Percutaneous nephrolithotomy (PNL): PNL is the treatment of choice for large stones located within the kidney that can not be effectively treated with either SWL or URS. General anesthesia is usually required to perform a PNL. The main advantage of this approach compared to traditional open surgery is that only a small incision (about one centimeter) is required in the flank. The urologist then places a guide wire through the incision. The wire is inserted into the kidney under radiographic guidance and directed down the ureter. A passage is then created around the wire using dilators to provide access into the kidney. An instrument called a nephroscope is then passed into the kidney to visualize the stone. Fragmentation can then be done using an ultrasonic probe or a laser. Because the tract allows passage of larger instruments, your urologist can suction out or grasp the stone fragments as they are produced. This results in a higher clearance of stone fragments than with SWL or URS. Shock Wave Lithotripsy (SWL): Patients generally go home the same day as the procedure and are able to resume a normal activity level in two to three days. 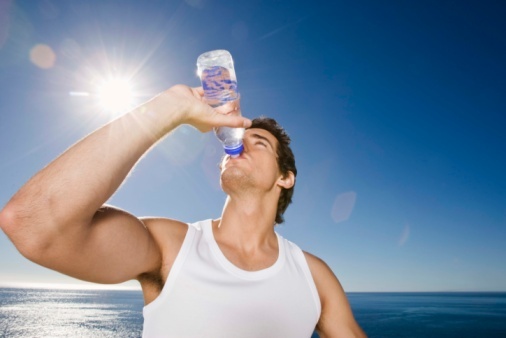 Fluid intake is encouraged, as larger quantities of urine can help stone fragments to pass. Because the fragments need to pass spontaneously down the ureter, some flank pain can be anticipated. It is possible that the stone may not have shattered well enough to pass all of the fragments. If so, a repeat SWL treatment or other option may be required. If a stent was placed prior to SWL, this will need to be removed in your urologist's office within a few weeks. Stents are usually well tolerated by patients but can cause some bladder irritation, frequent urination, and flank discomfort. Ureteroscopy (URS): Patients normally go home the same day and can resume normal activity in two to three days. As with SWL, if your urologist places a stent, it will need to be removed in approximately 1-3 weeks. What are the risks or potential complications of the various treatments? With SWL, patients should avoid aspirin, non-steroidal anti-inflammatory drugs such as ibuprofen, or other blood thinners, as these can cause significant bleeding around the kidney. It is important that these medications be stopped at least one week prior to treatment if possible. SWL is generally a very safe treatment. Long-term follow up of patients has shown a slight increase in blood pressure, but no lasting adverse effect on kidney function has been noted. In URS, there is a small possibility that the ureteral wall could be damaged or torn during the procedure. If this occurs, placement of a stent for two to three weeks is usually sufficient to allow the damaged area to heal. A complete tear of the ureter is very rare and requires open surgery to repair. When PNL is performed, there is a small chance of air or fluids forming around a lung if the access channel is made toward the upper portion of the kidney. These entities are treated with a chest tube, which allows drainage of the fluid from around the lung. Other rare complications include injury to the bowel and other organs near the kidney, and injury to blood vessels within the kidney. What are signs of a problem postoperatively? It is not uncommon for a patient to have a low-grade fever for the first 48 hours after surgery. However, if the fever continues or rises above 101.5Â° F (38.5Â° C) it could be a sign of active infection and should be reported to your urologist. Flank discomfort is also common after surgical interventions. However, if the pain becomes increasingly worse or unbearable, despite medication, your urologist should be notified. 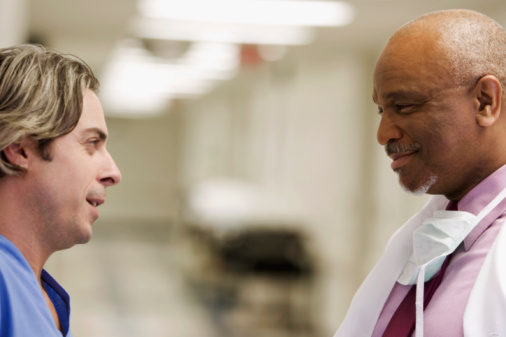 Significant lightheadedness, dizziness, chest pain, shortness of breath, lower extremity swelling, or uncontrolled nausea or vomiting should also be reported to your urologist or primary care doctor as well. If they are unavailable and you are unsure of the severity of your symptoms, you should go to your closest emergency room. How many times will I need to be treated? The answer to this question depends on the size of stone and the treatment used. The chances for re-treatment are highest after SWL if the stone is large, extremely hard or in the lower portion of the kidney. PNL and open surgery tend to produce the highest stone-free rates in a single treatment session.